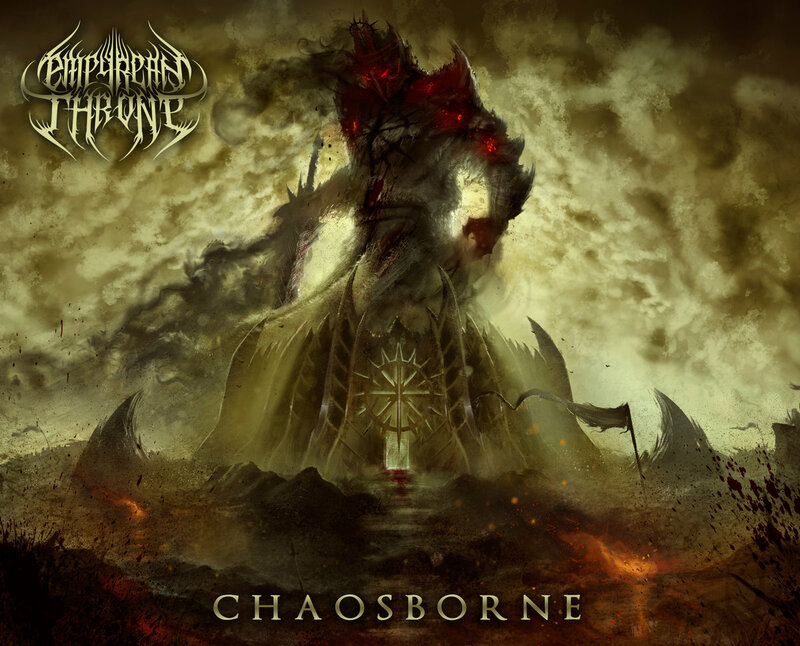 California black metal band Empyrean Throne make their full-length album debut in epic fashion with the release of Chaosborne. The band’s unique blend of elements of industrial, black metal, and symphonic metal, creates a very powerful and addicting sound. Empyrean Throne combines the heavy vocals, double bass punches and powerful guitars predominant in black metal and fuses it with orchestral elements such as strings and percussion to create the sound for the album. I am honestly not a fan of most black metal, but the sound that the band creates with their debut is attractive and full. The album fires on all levels from the very string-heavy opening of “The Twilight Order,” blending the sounds together perfectly to create a very amazing sound, separating themselves from the rest of the genre. The album tells the tale of a Templar Knight in Medieval Europe, and while with most concept albums like this, the story that the band tries to portray is often missed or lost, but this isn’t the case with Chaosborne. Every single element of the band’s sound and lyrics fits the concept and the idea for the album well, helping to tell the story that the band set out to tell. If you are a fan of Behemoth and Cradle Of Filth, you will enjoy this release from Empyrean Throne when it is released independently through the band on January 24th 2017.